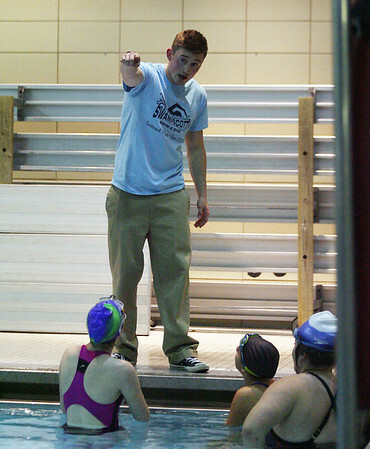 New Swampscott Swimming head coach Chris Havens, directs a few of his swimmers at practice on Tuesday afternoon. DAVID LE/Staff photo. 12/16/14.